Beirut has been ranked no. 1 as the most expensive city in the Middle East and 10th place globally according to EuroCost International’s annual survey on house rental prices for 2010. This ranking constituted an increase of 18 spots from 28th place in 2009, as reported by Lebanon This Week, the economic publication of the Byblos Bank Group. Beirut ranked ahead of Paris, Abu Dhabi and Amsterdam, and behind Singapore, Osaka and New York City in this year’s survey. EuroCost International noted that Beirut appears for the first time among the top 20 cities worldwide and has become the most expensive city in the Middle East this year, pushed up by the real estate speculation that has generated a strong increase in the supply of high quality housing. EuroCost International added that the locations selected for the survey are areas frequented by expatriates. It noted that it only includes residential units that are of very high quality, as multinationals are aware that housing is a crucial component of expatriates’ comfort and satisfaction and, therefore, seriously take into consideration their staff’s living conditions. The survey evaluates the average rental cost for two- and three-bedroom apartments for expatriates, and converts the average prices per location to euros. It said the data reflects the local rental market for expatriates and therefore differs from the rental market for the local population in terms of price level and evolution. 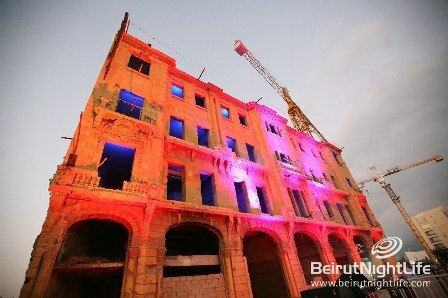 It added that the decline in rental prices in other Arab and non-Arab cities contributed to the increase in Beirut’s rankings, as Dubai rents declined by 30 percent to 50 percent, dropping the city from 12th place in 2009 to 31st place this year, while Abu Dhabi regressed by one spot from 11th place last year to 12th place this year. Tokyo remained the most expensive expatriate rental city in 2010, while the rankings of the top 9 cities were almost unchanged from last year. Newer Post HIP HOPPING is missed !